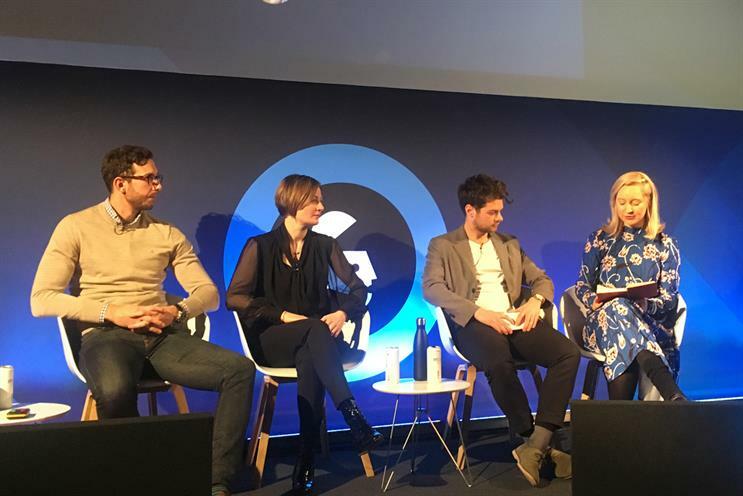 Brands should worry less about influencer fraud and more about their marketing strategy, a panel at Advertising Week Europe concluded. (L-R): Svirskis, Dennehy-Neil, Halfacre and Kemp. It's not too difficult to spot an influencer buying followers, or generating fake posts if you know what to look for, Anthony Svirskis, chief executive of influencer marketing agency Tribe, said. "When influencers gain followers organically, there's a steady rise where as if it's really staggered or just shoots straight up all at once, they're buying followers. Other tell-tale signs are engagements with posts, if it trails off or drops off, the types of follower profiles – fake ones tend to have generic pictures and numbers after a name and if the number of likes exceeds the number of views," Svirskis told panel moderator, Campaign trends editor, Nicola Kemp. Tribe has also built a reverse-image search engine to make sure the influencers it engages are not stealing and repurposing images. But, in fact, brands need to know what kind of influencer they want to work with, the message they want to send and focus less on an influencer's popularity, fellow panellist, Greg Halfacre head of digital marketing, News UK, said. "The onus should be more on brands and agencies to understand what they’re looking for." Influencer marketing should receive the same rigorous checks and measures that a brand would use for any media campaign, Christie Dennehy-Neil senior public policy manager, IAB, advised. Dennehy-Neil also believes the onus for complying with the rules of disclosure should be on brands and agencies. "Anyone can be a publisher these days and not everyone knows the rules and when to comply and when something is classified as advertising or not. It's up to brands and agencies to take extra care and be extra rigorous to make sure the rules are being complied with," she said. "It doesn't really work to tell just a teenager to comply with IAB rules and regulations," Svirskis agreed. "it's up to everyone to make sure the rules are followed."